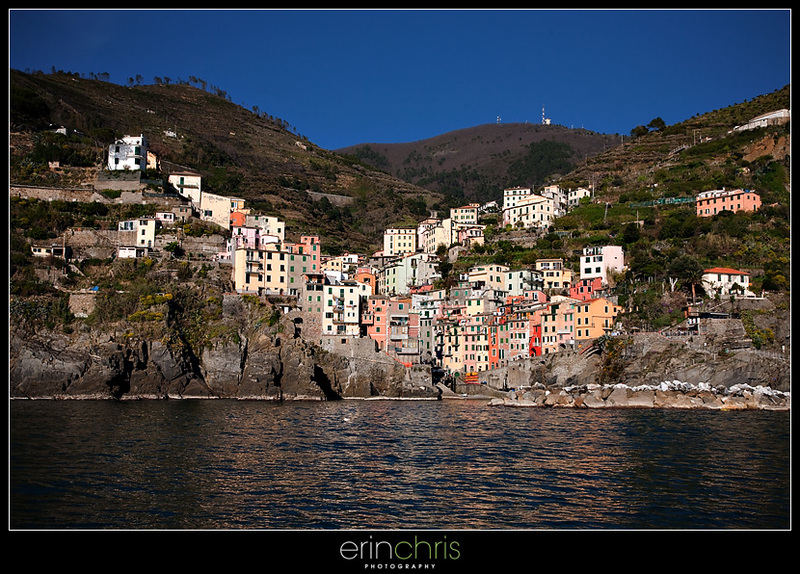 The next area we visited was Cinque Terre on the upper western coast of Italy. 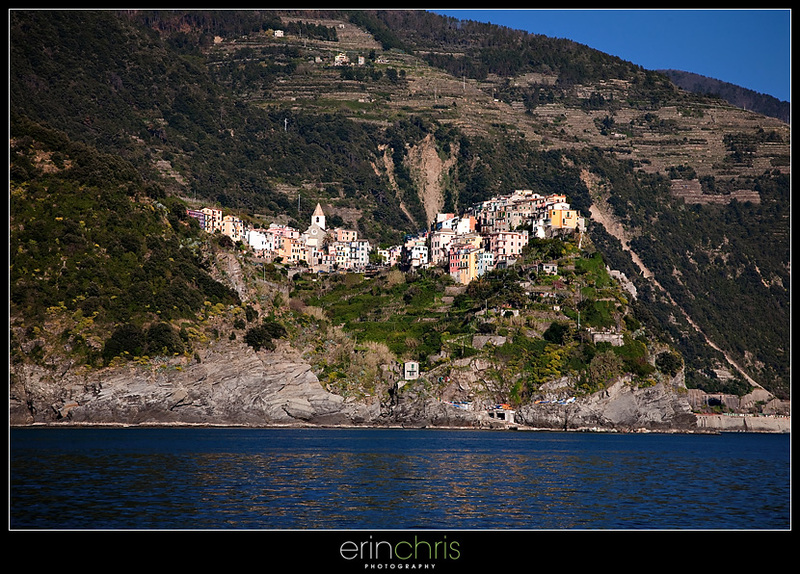 There are 5 villages right along the water and some have houses located right on the steep cliffs. There are hiking trails connecting each of the villages, but when we arrived we found out that all the trails were closed except one, because of landslides that had occurred from all the recent rain. Luckily, we were able to go far enough on some of the trails to get pictures of each of the villages. 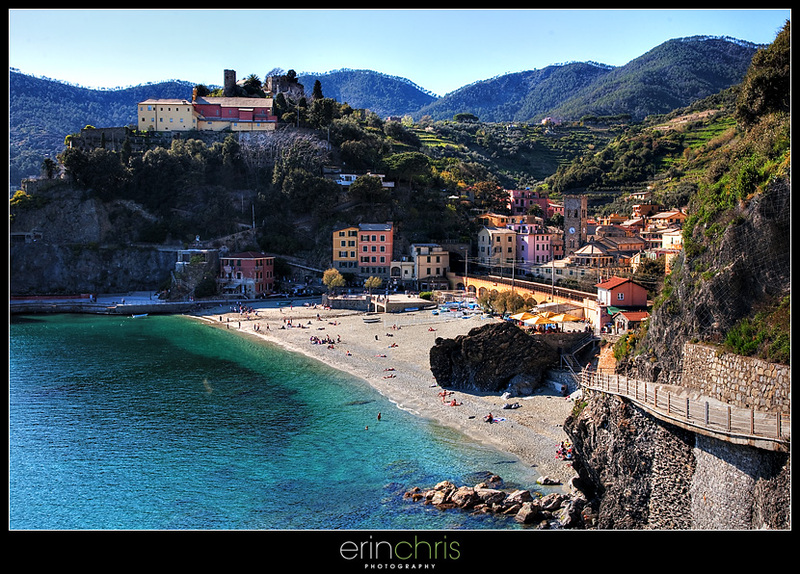 We stayed in the most touristy village called Monterosso del Mare, which is more of a resort area with a beach. 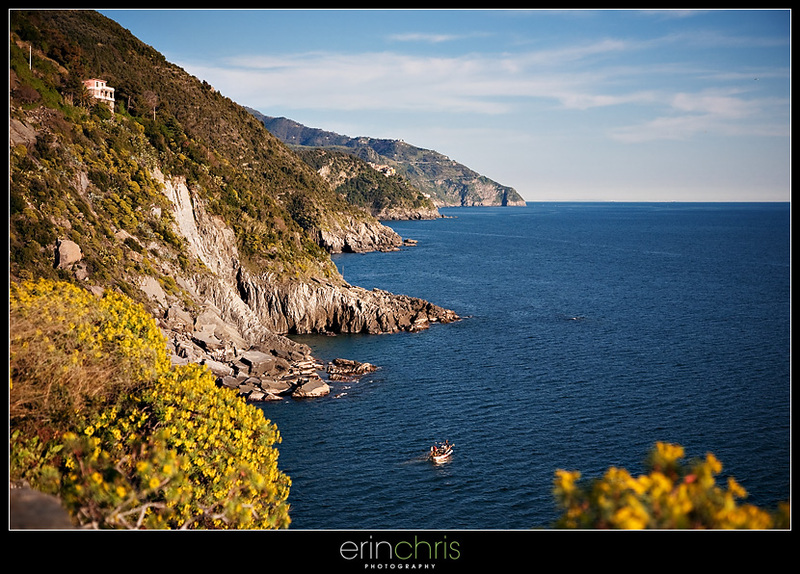 Our first night, we started on the hiking trail toward Vernazza (which is supposed to be the most difficult of the hikes) but since the path was closed we had to turn around and take the train to Vernazza and hike backward a little bit to get some photos of Vernazza. 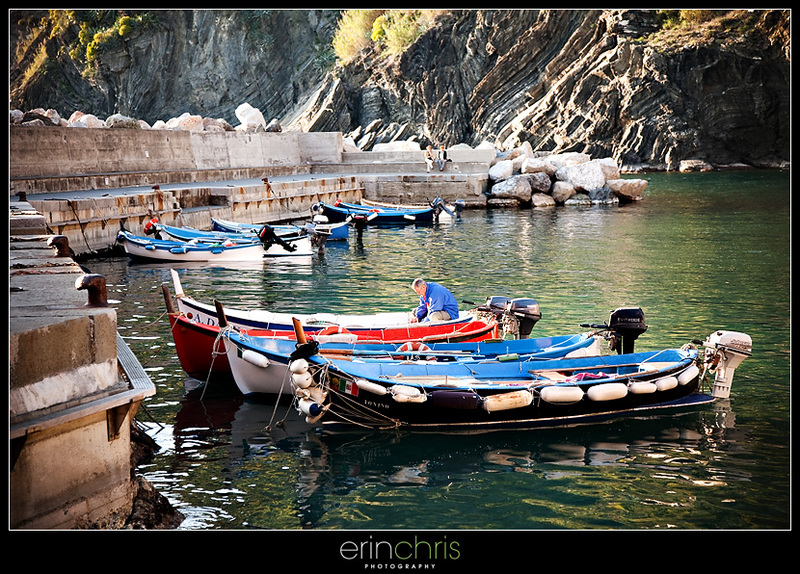 Vernazza is mainly known for its quaint little harbor. 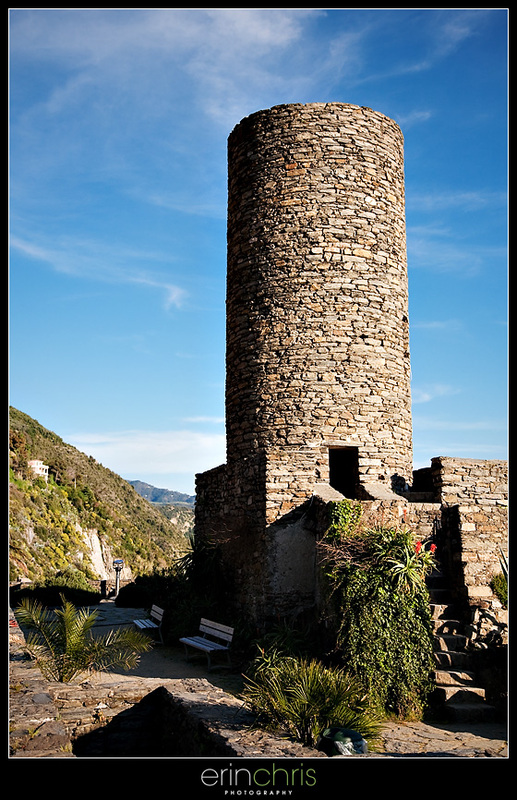 Then we climbed up the tower that you can see on the end of the peninsula in the photo of Vernazza above. 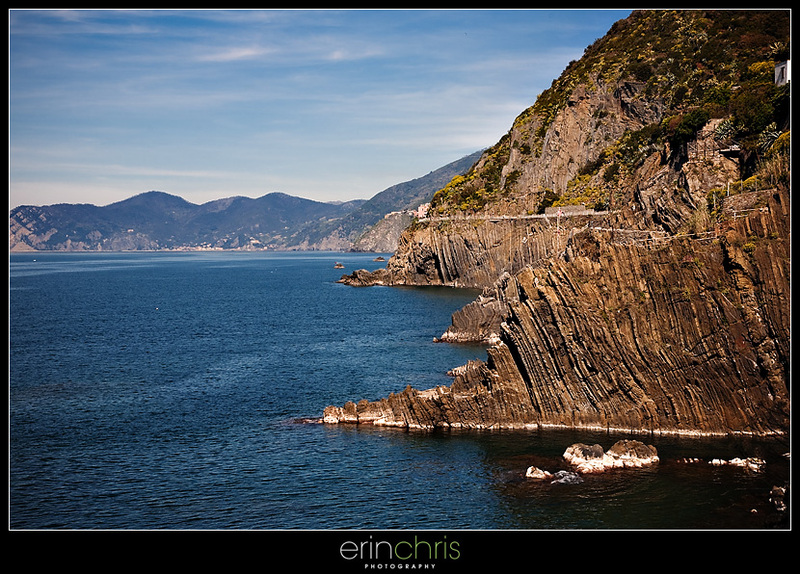 It gave us some great views down the coast. 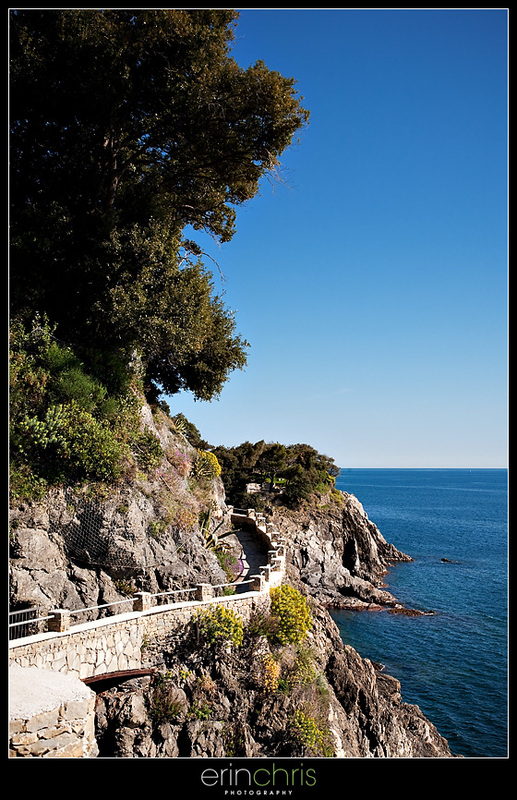 On our second day, we walked along the one path that was actually still open, the Via della Amore. 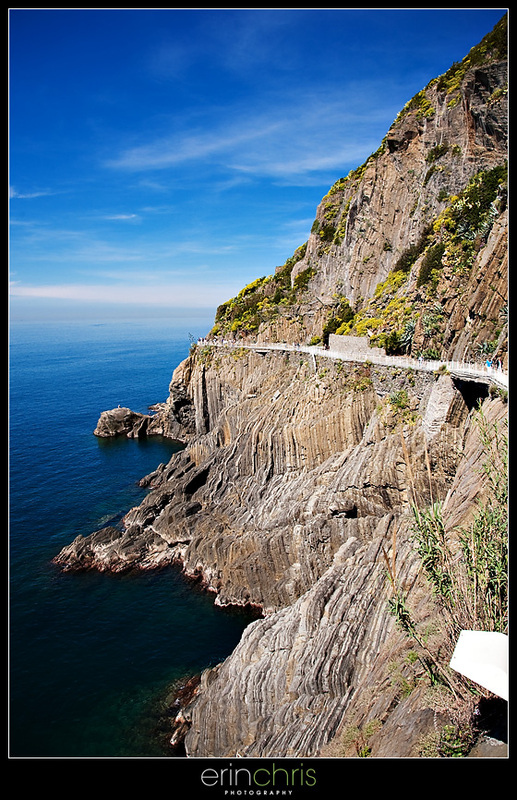 Here you can see some of the paths along the cliffs. 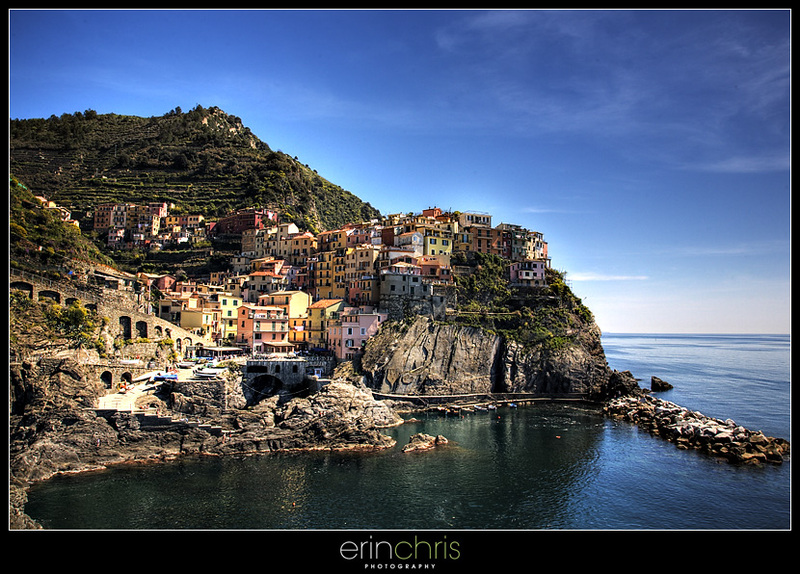 This is Manarola and might be one of my favorite shots from the trail. We were definitely disappointed when we found out that the trails were closed, but learning that the boats were running made it a little better. Some of these views could only be seen from the water. 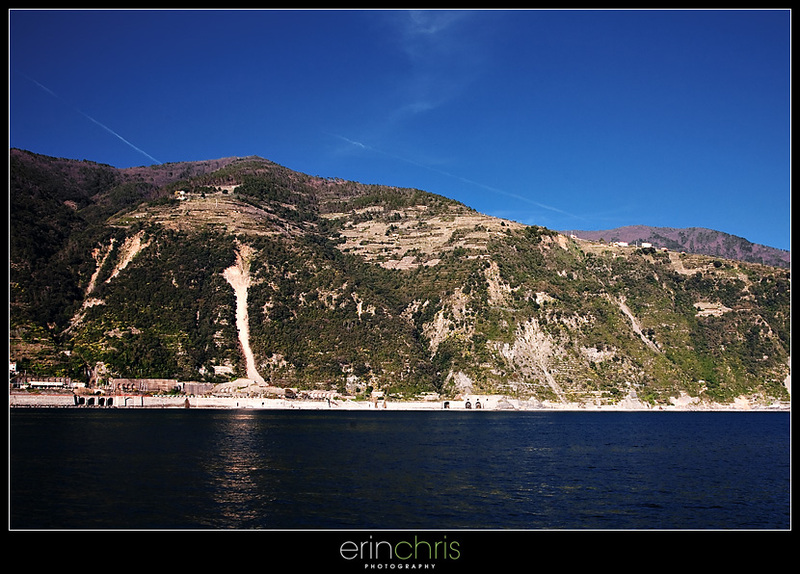 Here are some of the landslides that required the trails to be closed. 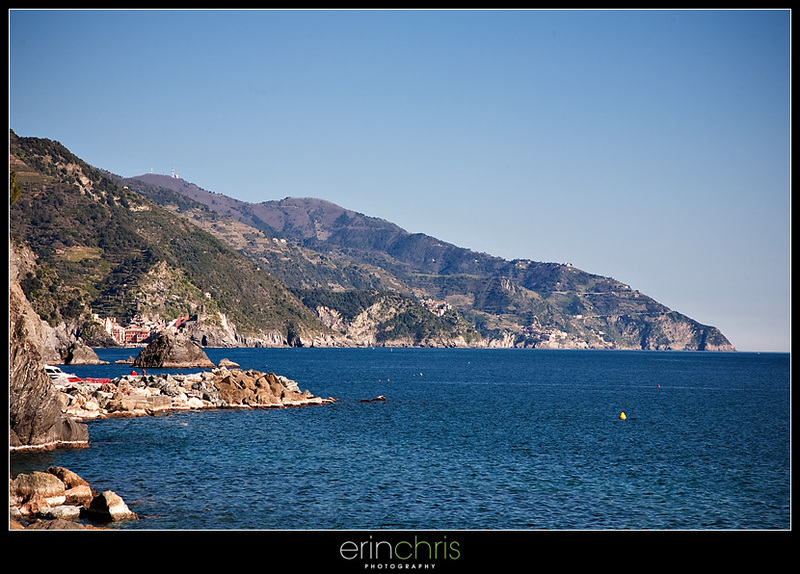 On our last day in Monterosso we explored the areas away from the coast. 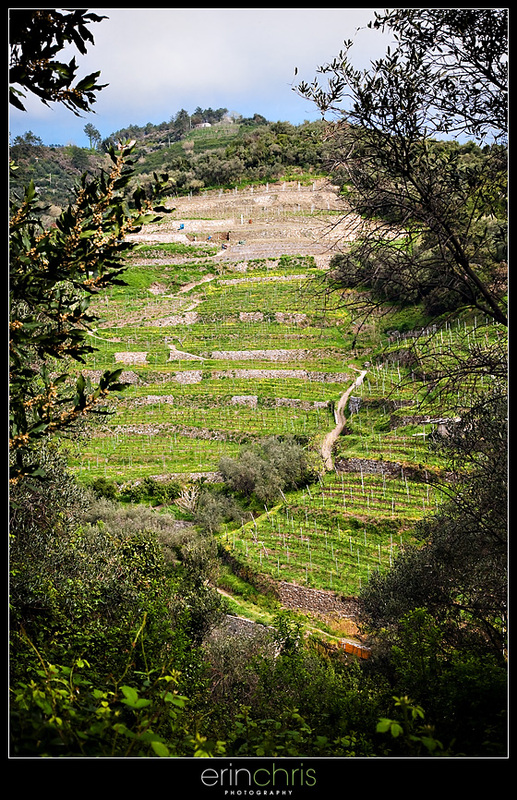 Monterosso is known for its local wine which is really light and fruity, and their vineyards have been around for hundreds of years. 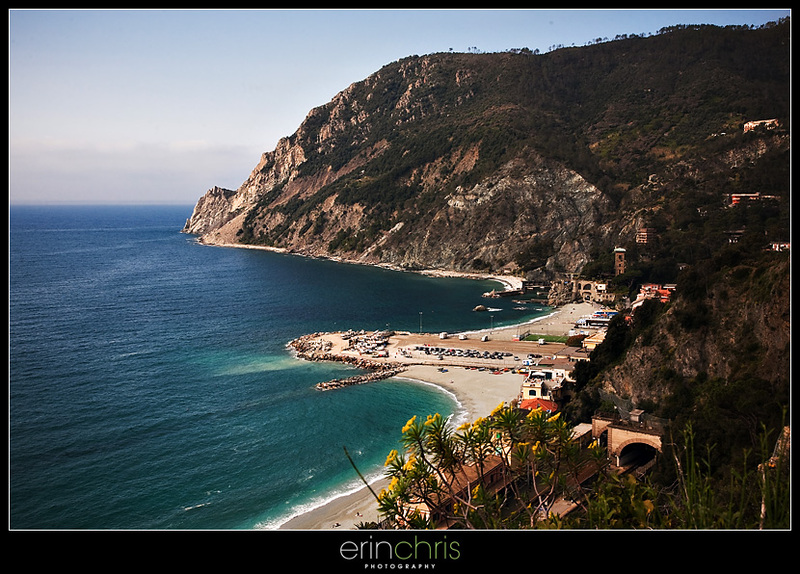 Our hike led us back down to the beach, which I couldn't get enough of. 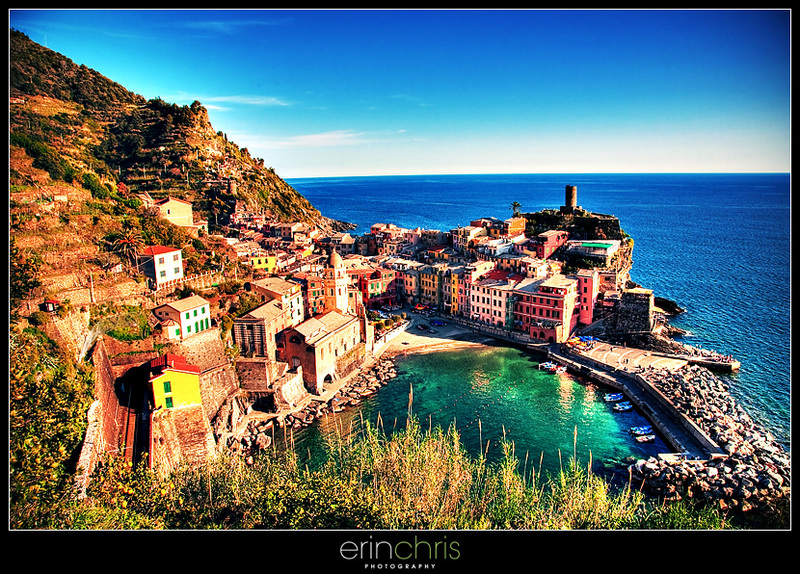 Yes we have beaches in Florida, but the water and landscape doesn't look like this. 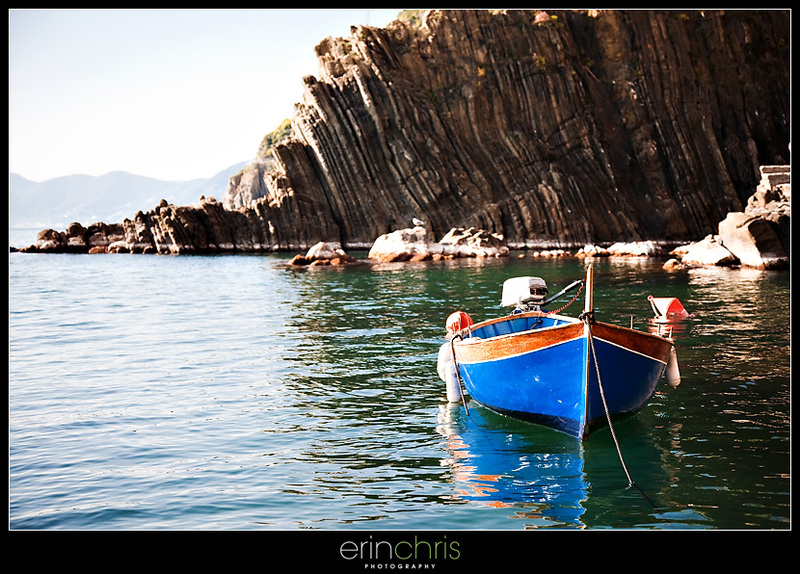 Il Gigante used to be a famous landmark in this area of Italy. 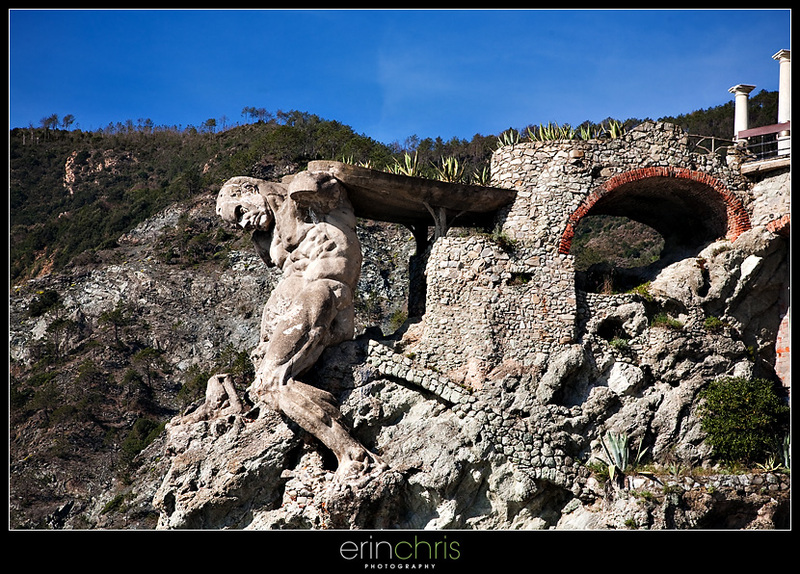 It was built out of concrete and used to hold a trident, but lost his arms and was damaged in WWII bombings. 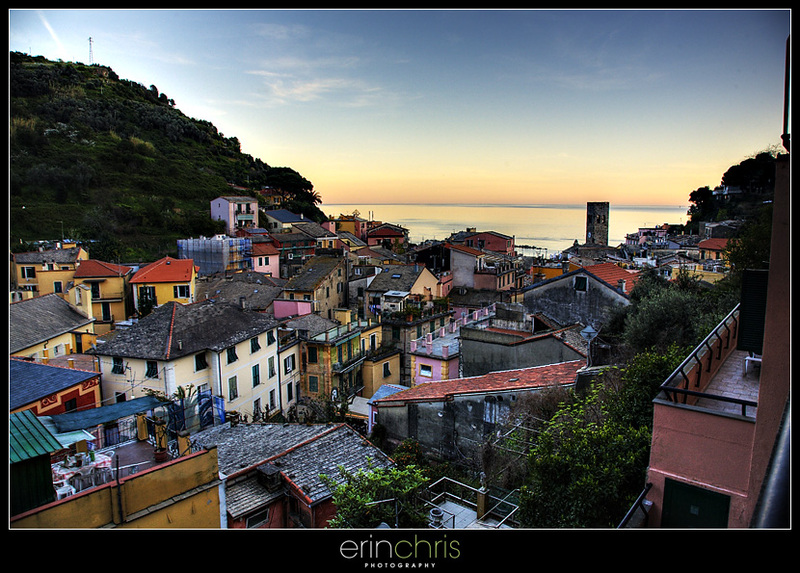 Our last night in Cinque Terre, we had dinner on our balcony overlooking the village. This was our view.... amazing. The last stop on our trip was Venice, which is coming up next. Oh, love all of these!! The water shots are SO pretty!!! 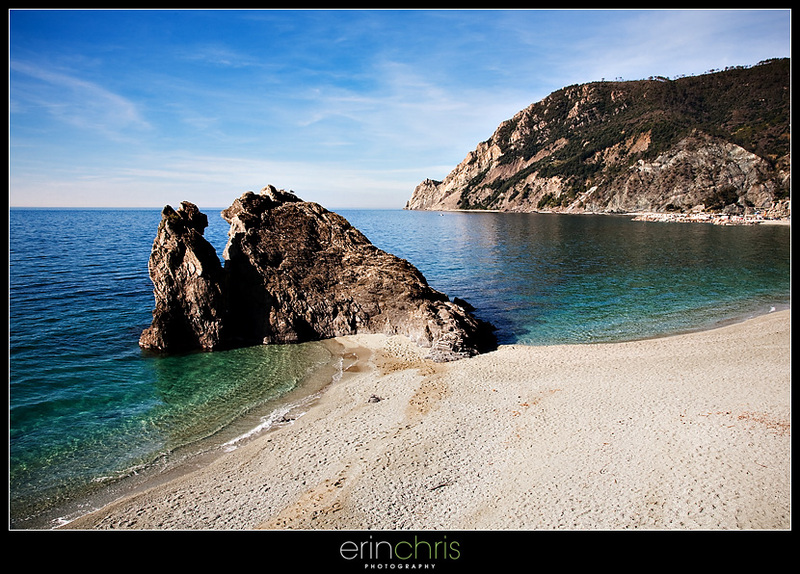 I agree, beaches elsewhere can be so much more beautiful! Excited to see the last stop!